Boil the potatoes, peel the skin and mash it. In a frying pan take some oil, add cumin seeds. 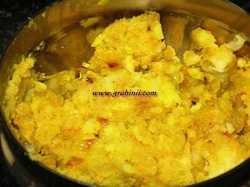 When it starts spluttering add finely chopped onions and fry until they become transparent. Add the mashed potatoes along with the dry powders and finely chopped coriander leaves. Mix well, let it cool and keep it aside. 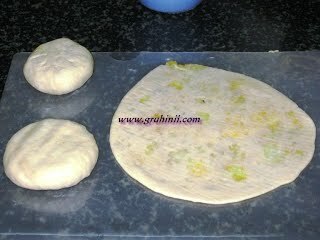 Combine Maida and wheat flour , add a pinch of salt and make a smooth dough adding sufficient water. 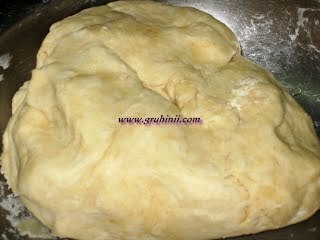 Make small lemon balls of the dough, roll to a puri size circle, stuff it with the potato mixture, close carefully and roll out to a parata. Fry it on a pan smearing oil on both the sides.